Whether you want to learn more about our products, you need advice on your digital signage project or you want to partner with us, feel free to contact us using the details below. We have resellers that can help you all over the UK. Our existing customers can contact us at any time by visiting our Support section and logging in a support ticket. 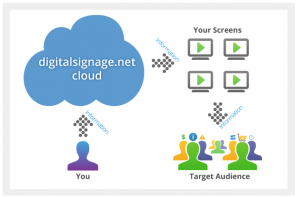 Comprehensive answers to the most frequently asked questions about digitalsignage.NET are provided in our Forums.